£280,000 Ada Lovelace House renovation completed by Woodhead! New office space is now available to entrepreneurs and businesses in Nottinghamshire thanks to a £280,000 investment by Ashfield District Council and the D2N2 Local Enterprise Partnership. Formerly Ashfield Urban Council Offices, and more recently a police station, the building on Urban Road in the North Nottinghamshire town is a well-known local landmark, named after Lord Byron’s daughter Ada Lovelace. The redevelopment of Ada Lovelace House has created 1,658 sq ft of space for start-up businesses and SMEs after extensive renovation works by local construction company Robert Woodhead. The £280,000 project was funded with £140,000 from Ashfield District Council and £140,000 from the D2N2 Local Enterprise Partnership’s Local Growth Fund allocation. D2N2 money for the Ada Lovelace House redevelopment was agreed by the D2N2 Infrastructure and Investment Board. Ada Lovelace House offers seven offices with shared communal space and open-plan meeting areas. Interest has already been expressed in four of the seven units, and an official opening of the building is due to take place in October on Ada Lovelace day. The Woodhead team has been visited by the Considerate Constructors Scheme (CCS), which has awarded a score of 40/50 for the work they have done in respecting the environment, community engagement and support for the workforce. As part of its work with the local community the team has offered work experience placements to 14 local young people, giving them the chance to learn more about working in the construction industry. Woodhead’s team leader, Mark Maisey said: “We’re really pleased with the work we’ve done to bring this important local resource back into use. Taking a building in a state of disrepair and bringing it up to modern standards, fit to support local businesses grow is a very rewarding project to work on. “We always aim to do as much as we can to support the local community while we’re working on site. With a huge skills gap looming over the construction industry, it’s so important that we do as much as we can to inspire the next generation of builders, I hope the young people that joined us on site have had a good taster of what our industry offers and will consider making construction a career in the future”. Edd de Coverley, service director – place and communities for Ashfield District Council, said: “The redevelopment of Ada Lovelace House represents a fantastic addition to Kirkby town centre, and to the Ashfield district as a whole. The high-quality office space resulting from this project will help to encourage new business to locate right in the heart of the town – creating jobs and boosting the economy for the people of Kirkby and Ashfield. “We are pleased that a number of businesses are already showing interest in the space, and look forward to welcoming these businesses to Ada Lovelace House in the next few months”. 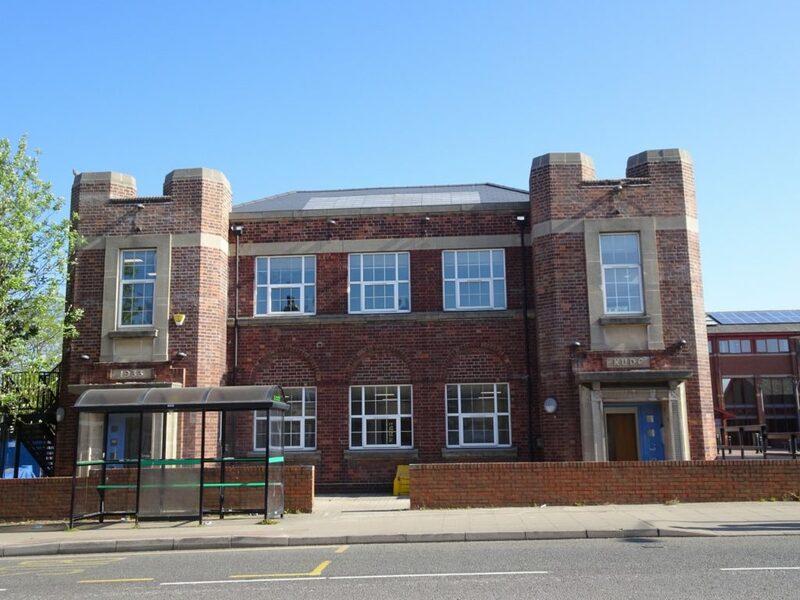 David Ralph, Chief Executive of the D2N2 LEP, added: “There is a clear appetite for small business space in Ashfield and the Ada Lovelace House redevelopment is a means to help meet that need. Our private sector-led Partnership promotes economic and jobs growth across Nottingham, Nottinghamshire, Derby and Derbyshire; and it is important that all areas benefit from that investment and growth”. The project was procured through the East Midlands Property Alliance (empa) framework, which aims to improve the delivery of property services to communities and is managed by Scape Procure.